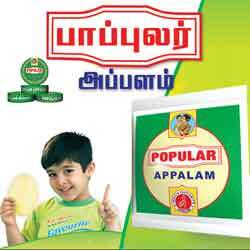 Home » Sponsors » Aachi Masala Foods (P) Ltd.
Aachi Masala Foods (P) Ltd.
Mr. A.D. Padmasingh Isaac, Chairman and Managing Director of AACHI Group of Companies born in Dec 1955 in a middle class family at Nazareth, Tirunelveli District, Tamil Nadu. He did his graduation in Business Administration from Aditanar College, Tiruchendur and joined Godrej Soaps as Sales Officer. In view of his excellent and meritorious performance, within two years, he was promoted as Area Sales Manager in charge of Tamil Nadu. It is this over 10 years experience in Godrej Soaps that kindled his entrepreneur spirit in Mr. Isaac. In 1998, he started with a single product Liquid Blue and thereafter, introduced AACHI MASALA products in rural and semi urban areas of Tamil Nadu. He knew the abundant market potential of the ‘Bottom of the Pyramid’ even before several MNCs launched their aggressive rural marketing measures. 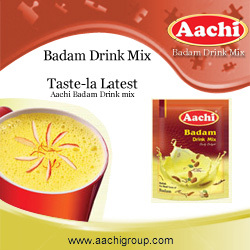 In just 12 years, AACHI has out beaten its competitors and has emerged as the No 1 FMCG Brand in Southern India. Today, AACHI has over 150 products! 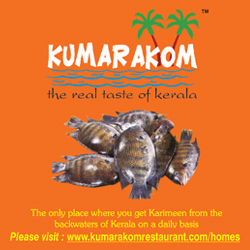 There are over 3500 exclusive agents and over 10 lakh retail outlets all over India and abroad. In fact an AACHI product launched in Chennai today will be available in the remotest corner of Tamil Nadu within just six days and such is the vast and efficient retail marketing net work of AACHI! AACHI GROUP has been achieving record sales turnover over the years and for the just concluded financial year ended March 31, 2011, the group sales turnover is over 700 Crores. 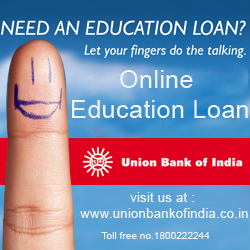 It is expected to cross the magic figure of Rs 1000 crores by March 2012. AACHI has provided employment to several hundreds of women and for over 40 differently abled persons etc. About 5000 families are dependent on AACHI and thus over 20000 persons earn their livelihood because of AACHI. AACHI has also undertaken Rural Rejuvenation Program jointly with Isha Foundation. Mr. Isaac is also planning to start a Micro Finance Institution with the support of generous overseas lending agencies for meeting the credit needs of the vast net work of Retail outlets numbering over 1 million! There are plans to set up Aachi Institute of Retail Management to meet the AACHI’s manpower requirement and AACHI School of Business Management to develop entrepreneurs. Mr. Isaac is a firm believer in the dictum that entrepreneurs are made and not born. He exhorts young people to become entrepreneurs and assures them all support. He is a star speaker in several reputed Business Schools, Industry Associations. Today, he is marketing in AACHI Brand the products manufactured by over 24 MSMEs and has plans to increase it to 100 MSMEs by 2012. It is this rare quality in him that catapulted him to become the Chairman of MSME Panel of CII, Chennai Zone. 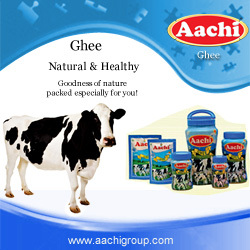 AACHI products are not only popular in India but also in several countries such as USA, Canada, Netherlands, UK, Switzerland, Belgium, Malaysia, Singapore, Australia, UAE, Angola etc. Very shortly AACHI products will be launched in Kuwait, Saudi Arabia, Sri Lanka, Maldives and Seychelles. AACHI has provided livelihood to several thousands of Women Self Help Groups. 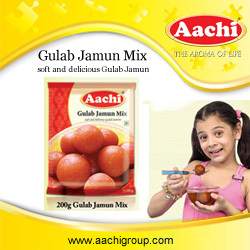 AACHI products are distributed by SHGs and the members benefit by way of earning commission. It thus provides income generation for the rural women folk. Mr. Isaac is a simple person and is easily accessible. His wife Smt. Thelma Isaac is a highly successful woman entrepreneur and is the Managing Director of Nazareth Foods Pvt. Ltd. She has also received several awards and is the brain behind the success of AACHI! His two sons viz. Mr. Ashwin Pandian, a Graduate Mechanical Engineer with MBA from USA and Mr. Abishek Abraham, a Graduate Engineer in Food Technology with MBA from the famous SP Jain, Mumbai. 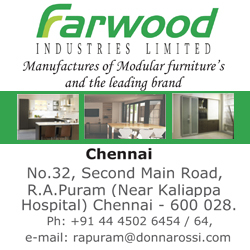 Mr. Ashwin Pandian looks after Production, Logistics and Projects while Mr. Abishek Abraham takes cares of Marketing, advertisement and New Products. AACHI has undertaken several new projects. The project at Gummidipoondi envisages setting up cold storages and manufacture of Pure and Blended spice powders it is eligible for Rs 10 Crores subsidy from the Government of India and Rs 5 Crores from the World Bank. In India, annually over Rs 1 lakh cores worth agricultural products are wasted because of insufficient storage facilities. These projects addresses this issue and would save over 5000 tonnes of agri produces annually. AACHI has also undertaken another project at Red Hills, near Chennai, for manufacture of mineral water, pickles, fruit juices etc at a capital cost of Rs. 15 Crores. Mr. A.D. Padmasing Isaac is the proud recipient of ‘EXTREME ENTREPRENUER OF THE YEAR 2010 AWARD’ from the the Indus Valley Entrepreneurs (TIE), Silicon Valley, USA. He was chosen for this prestigious award out of over 1600 contestants by an eminent panel of jury. Mr. Isaac is also the elected member representing Tamil Nadu in the Southern Regional Council of CII. He was presented with Best Entrepreneur Award by several leading Business Schools, Universities, Rotary Club etc. 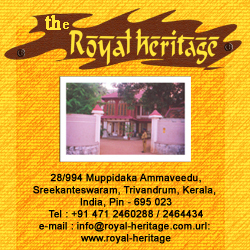 Mr. Isaac is a Trust member and Correspondent of ICI Matriculation School in Chennai. Mr. Isaac attributes his resounding success to “providing common man quality food products at his affordable price”. In AACHI factory, all workers are provided with best food and shelter and a decent salary. It is the highest satisfaction of all stake holders that has put AACHI In numero one position. TQM and Good Manufacturing Practices are way of life in AACHI! Mr. Isaac’s vision is to make AACHI as a common brand all Food related FMCG products in India akin to WALMART in USA which outsources best products and markets them in its brand name. 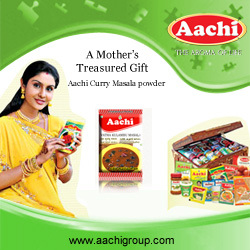 Undoubtedly, true to the word AACHI, derived from the word ‘AACHI’ in Tamil which means to rule, AACHI will be the QUEEN OF KITCHEN! Chennai 600 040 South India.